Eric is an Akron native, born and raised on the westside of Akron, Eric is a proud graduate of John R. Buchtel High School. 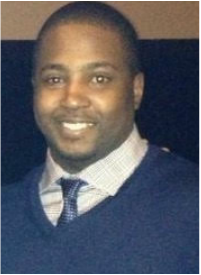 Eric is married to his lovely wife, Kaleshia and proud father of two sons, Kyler and Eric III. Eric earned a bachelors degrees from The Ohio State University, receiving a B.S. in Education, and a Master of Science in Administration from Central Michigan University. Currently, Eric is the City of Cleveland Program Coordinator for the Ohio State Young Scholars Program. 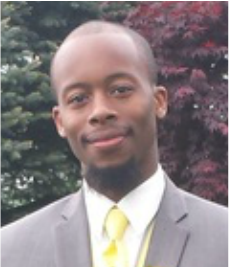 Eric is the co-founder and president of Young Black Professionals Coalition (YBPC), serving the greater Akron community for 8 years. It has always been a passion of Eric's to give back to his native city and to be relevant! ​Tie’rra Lorrine Holman is the secretary of YBPC. She graduated from John R. Buchtel in 2000. She holds two Associate degrees in Accounting (CPA & Corporate option) and is currently working towards earning her BS/ACC & MAcc. She has a willingness to serve at every level and wants to be a positive influence to children and young adults in the Akron area. She is a native of Akron, Ohio and lives there with her daughter Mya. Steve King (DJ Mr. King) is a DJ and an on-air talent on WCKX-FM (Power 107.5) and WBMO (Boom 106.3) in Columbus, Ohio. In addition to his role as a radio personality, Steve is an Intervention Specialist at Whitehall-Yearling High School, where he also serves as the assistant varsity basketball coach for the state-ranked Rams. Steve earned a Master of Education degree in curriculum and instruction from Ashland University in 2013 and a Bachelor of Arts degree from The Ohio State University, A native of Akron, Ohio, Steve is the proud father of Christian, and Landon.